A U.S. servicemember was killed Monday during combat in eastern Afghanistan, the Pentagon said. Four other troops were wounded during the New Year’s Day firefight in the Nangarhar province, the military said, but the Pentagon didn’t immediately provide any other details. “We are deeply saddened by the loss of one of our own,” said Gen. John Nicholson, head of U.S. forces in Afghanistan, according to USA Today. Two of the servicemembers were in stable condition at a hospital, the Pentagon told USA Today. The others were able to go back into service. 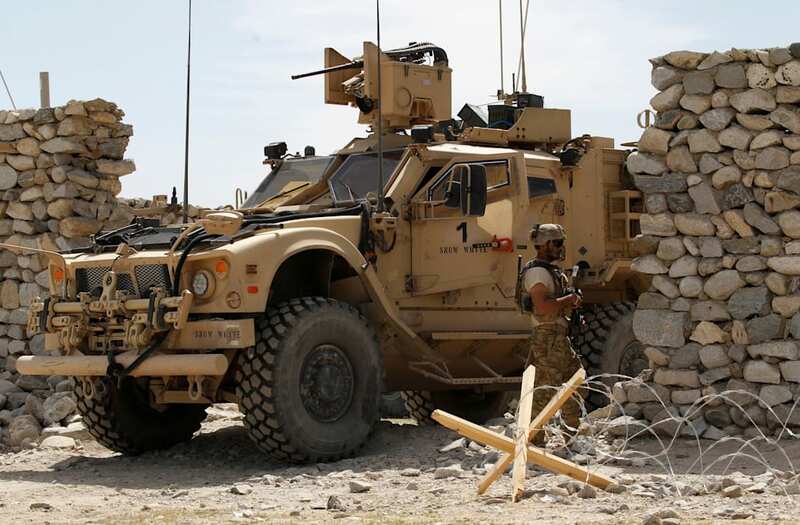 Troops based in Afganistan have been aiding the nation’s security forces in engaging ISIS-tied groups and the Taliban since forcing ceasing combat operations nearly four years ago. Fighting has been particularly fierce in the Nangarhar province, where several servicemembers were killed last year. President Trump said in August he’d up the number of airstrike, while no longer announcing the number of troops stationed in Afghanistan. An estimated 14,000 U.S. service members are currently based in Afghanistan, according to ABC News. The White House also lifted some Obama-era restrictions on the military in the nation. Nicholson, in November, said the U.S. had flexed that power for the first time by targeting narcotics labs that are a major revenue source for the Taliban. U.S. President Donald Trump announces his strategy for the war in Afghanistan during an address to the nation from Fort Myer, Virginia, U.S., August 21, 2017.